On 30 November, Qatar’s leading English independent news publication, Doha News, reported that its users in Qatar could not access its site online or on mobile phones. 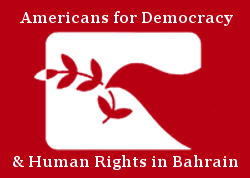 Americans for Democracy & Human Rights in Bahrain (ADHRB) is deeply concerned by this alleged act of censorship by the Qatari government, which constitutes an assault on media freedom in the country. ADHRB calls on the Government of Qatar to restore full public access to all news outlets in Qatar, and to lift all restrictions on free and independent press. We further call on Qatar to amend the cybercrimes law and penal code in line with international human rights standards.